In 1844, the Philippines skipped a day, and it took decades for the rest of the world to notice. 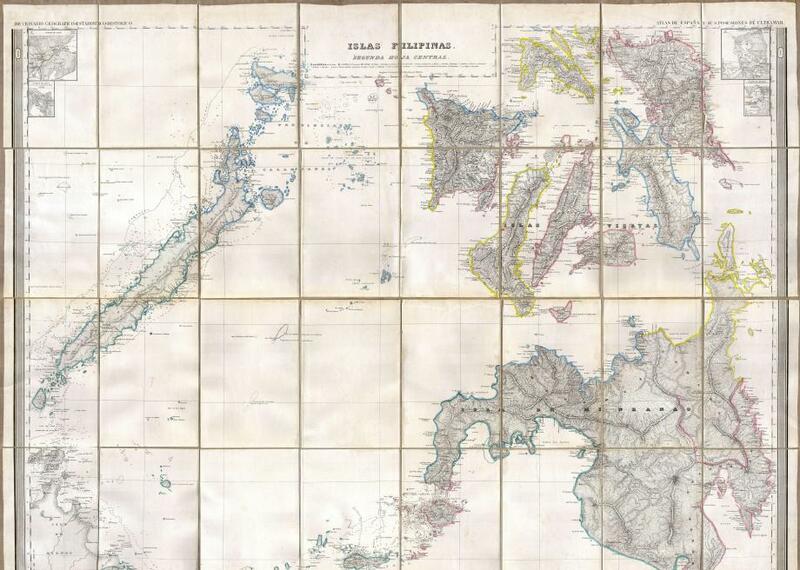 The southern Philippines, in an 1852 map. One of the marvels of modern civilization is that, for the most part, humans all around the globe have agreed on one system for counting days and hours. This is a recent development. While people have generally relied on the cycles of the moon, Earth, and sun to measure time, at least 80 different calendars have been used, some more closely aligned than others. And no system is perfect. The most common timekeeper, the Gregorian calendar, is filled with eccentricities. February is so short, random months have 30 days, and the formula for leap years defies logic. (It is a lot more complicated than “every four years.”) This all has to do with keeping Easter in the right place; there’s no good reason, on the other hand, for the seven-day week. But, however messy the system, it’s our system, and most of Earth has agreed to stick with it. Countries have shifted over the International Date Line only a few times since the it was established in 1884. In 1993, one atoll of the Marshall Islands flipped to the Asian side of the date line, skipping a Saturday in August. And, most recently, in 2011, Samoa and Tokelau made the same switch. Samoa had actually switched once before. In 1892, American trading partners convinced the king to flip to their side of the date line, and the country lived through July 4, 1892, twice. But 119 years later, the economic geography of the island had changed, and most business was being done with Australia and New Zealand. To make the jump back to the Asian date Samoa and Tokelau skipped Dec. 30, 2011. This time, unlike with the poor Philippines, the rest of the world went along with their choice: If you’re reading this in America, it’s already tomorrow in Samoa. This steamship has been beautifully rusting off the coast of an Iranian island since the 1960s. Frank Lloyd Wright’s most iconic home dangles over a Pennsylvania waterfall.